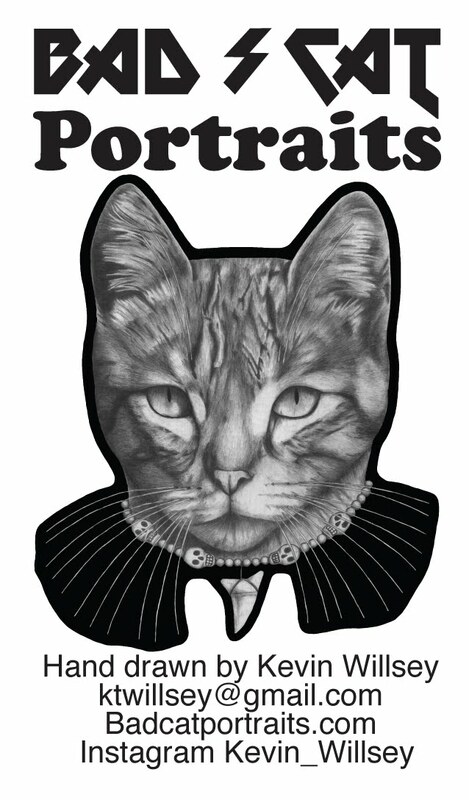 I have started a new cat portrait project, Street Cats. Leo was great help at framing the dog portraits for the art show at Cafe Lift. He keeps it fun! Went out for early breakfast at Cafe Lift to show my brother my dog portrait show. This place is one of my favorite spots for breakfast, I got the eggs benedict with side of sausage this time. They also serve awesome coffee! Mmmm. Get out to my dog portrait show and eat breakfast! Contact me for a portrait of your own, thanks! 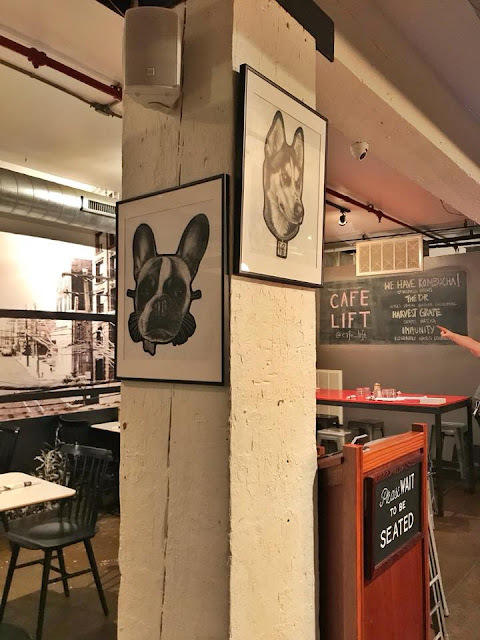 This is another picture of my "Dog show" at Cafe Lift. 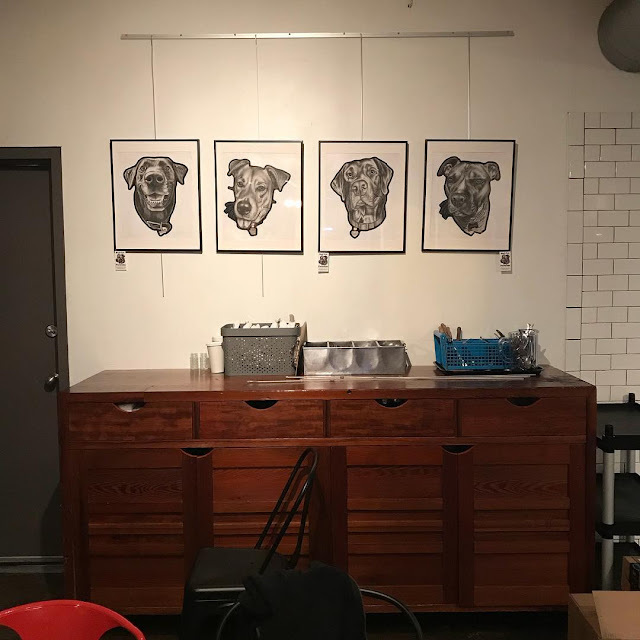 I have 8 dog portraits hung up. Get out and check them out. Get great breakfast and coffee while you do. Yeah! 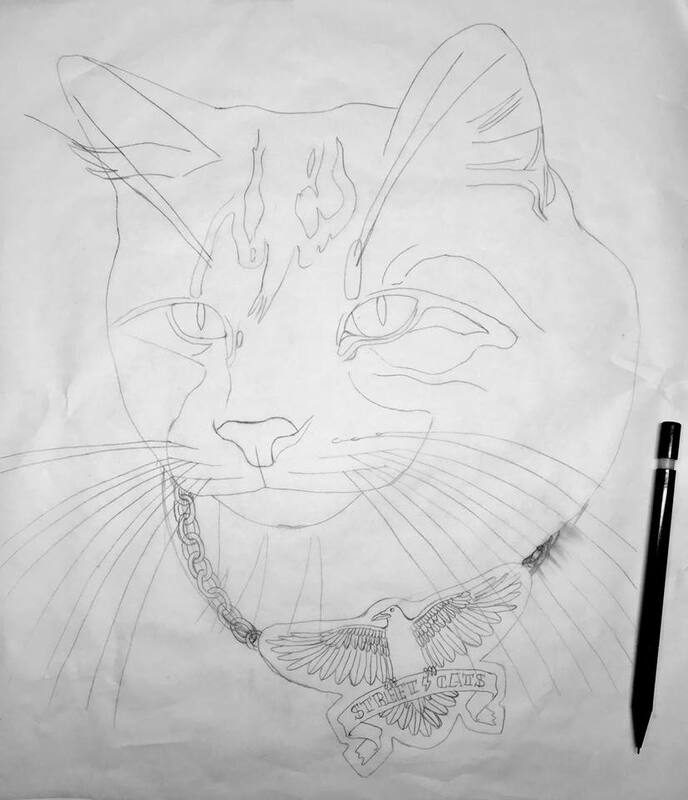 Contact me for a portrait of your own. Cafe Lift is at 428 N. 13th st. Philadelphia. 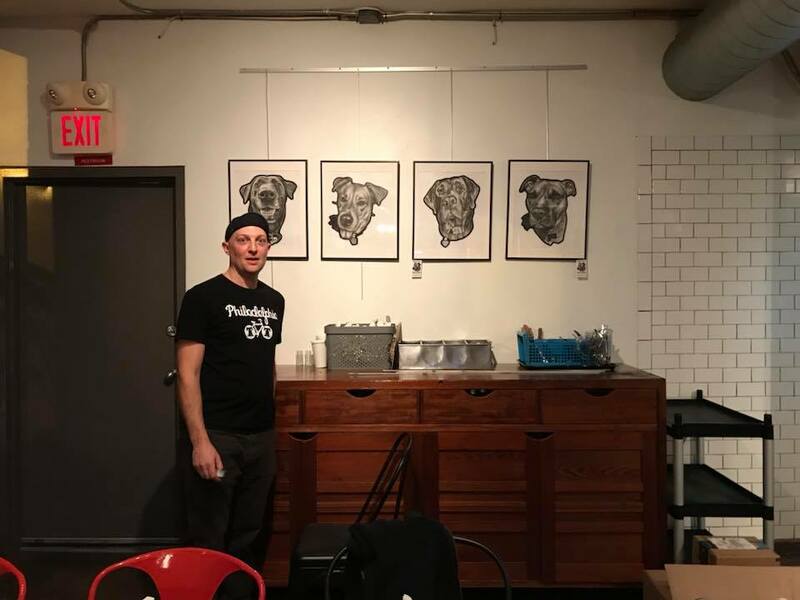 I've hung up my dog portraits at Cafe Lift in Philadelphia. Come out for awesome brunch and coffee! 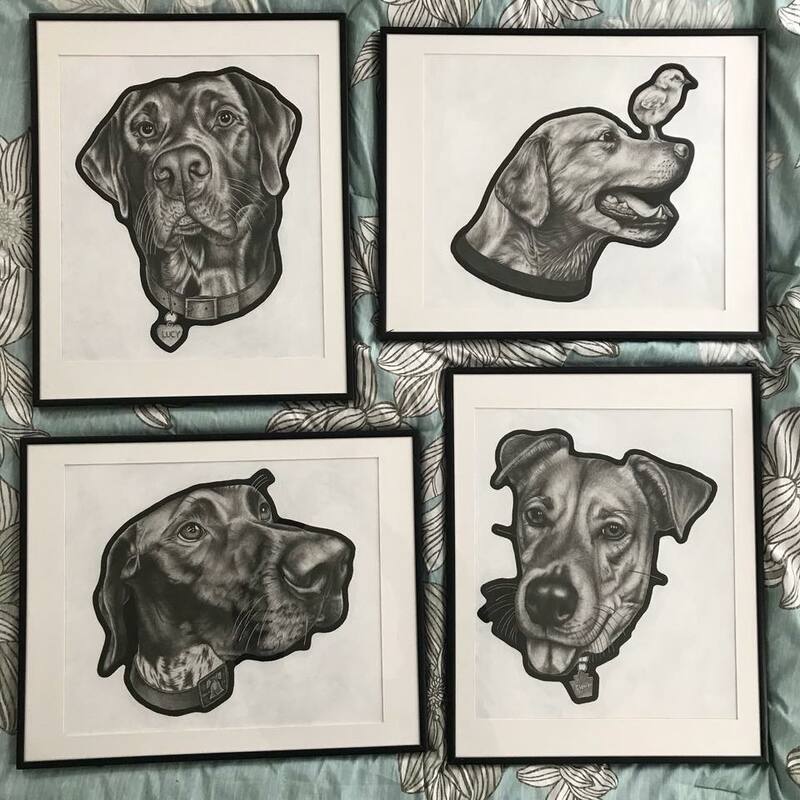 Check out my dog portraits! Show opens January 13th and will be up till February 28th. Contact me for a portrait of your own. 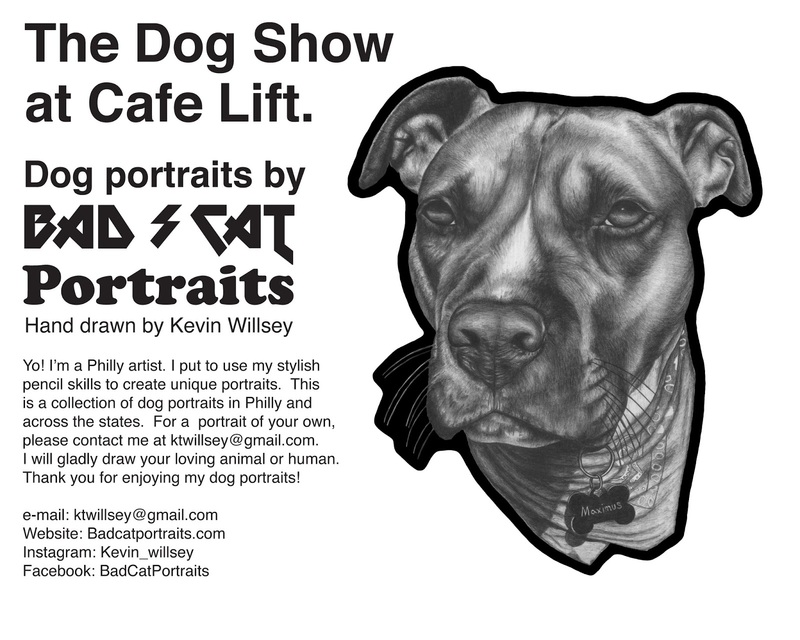 The Dog Show at Cafe Lift. 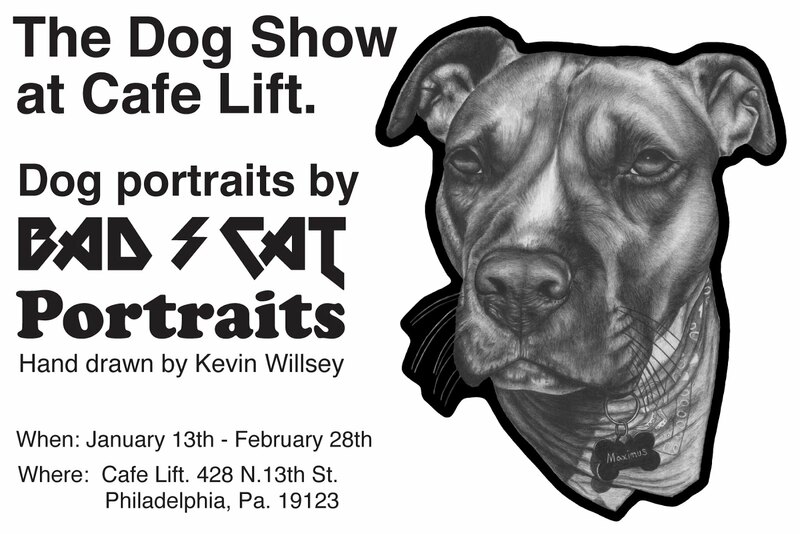 Here is a sneak peek to my "Dog Show" at Cafe Lift in Philly. My dog portrait show is January 12 to February 28. 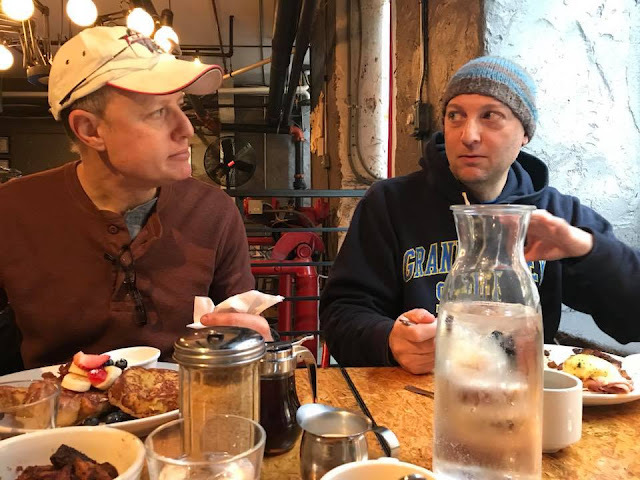 Get out for great breakfast and coffee. And check out my dog portraits! Yeah!